contact LAURYE BRUNSON: O: 251-661-4660 | C: 251-753-3927 LauryeBrunson.com LauryeBrunson@RobertsBrothers.com Roberts Brothers West 6721 Grelot Road Mobile, AL 36695 I concentrate on listening to my client’s needs and wants and then put my experience and education to work for them. As an Associate Broker, I take my responsibility seriously - whether negotiating a tough contract or helping you find the perfect property for you. My goal is to help my customers have an enjoyable and stress free experience whether they are buying or selling! I understand that I have the privilege of walking with people through some of the most important decisions in their lives. I enjoy helping REAL people make their dreams REALITY! I am a mother of 4 wonderful children who has been fortunate to be born and raised on the beautiful Gulf Coast. Music is a huge part of my life and I enjoy every opportunity that God gives me to sing and worship! I enjoy all the wonderful outdoor activities our coastal community offers and am very thankful to be able to work hard in a career I love! * Graph reflects residential property. This representation is based on data supplied by the Mobile Area Association of REALTORS and the Gulf Coast Multiple Listing Service. 200 sales associates & staff in three branch offices covering the residential and rental markets in Mobile and Baldwin County, Alabama. 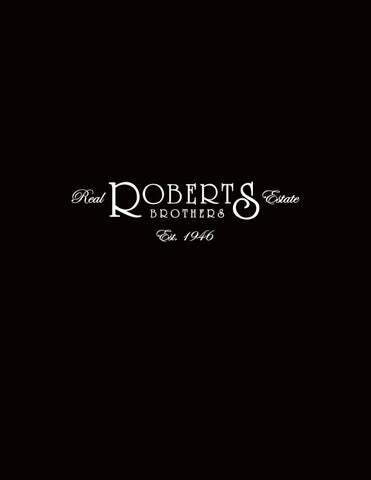 Roberts Brothers is the leading Real Estate company in South Alabama and has offered superior service to its clients and customers for over 70 years. Roberts Brothers, Inc. was purchased by HomeServices of America, Inc., a Berkshire Hathaway Affiliate. HomeServices is the second-largest-full-service independent, residential Real Estate brokerage firm in the United States. 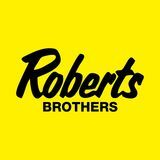 Over 70 years later, the name, Roberts Brothers, Inc., is still known for integrity, professionalism and results. Roberts Brothers is leading the Mobile Bay Real Estate market. Two young brothers, John and David Roberts, returned from serving their country in World War II and opened a Real Estate company in the garage of their parentsâ&#x20AC;&#x2122; home in Mobile, Alabama. Because of their work ethic, character and entrepreneurial spirit, they formed a company to offer property ownership opportunities for thousands of Mobilians. Roberts Brothers, Inc. and Dauphin Realty joined forces to create the top residential Real Estate firm in Southern Alabama. commitment that achieved this milestone is also the reason Roberts Brothers continues to lead the market today. Thanks for choosing us! Roberts Brothers has more Top Selling Agents in the Market than any other company in the Gulf Coast MLS. more EXPOSURE download our FREE APP! In Print Newspaper, Magazines & more! s the world changes all around us, there are some things that remain the same: Integrity, unparalleled customer service, and our sales associates who have brought these core values to you over the last 66 years. Today, we honor those who have been with Roberts Brothers or Dauphin Realty for 10 or more years. And in over 1,000 Front Yards! more EXPOSURE why Roberts Brothers? Our agent and staff testimonies speak louder than impressive market share reports­. These testimonials express what makes Roberts Brothers the #1 Real Estate Company in South Alabama­. Over 44,000 Visitors per month OPEN HOUSES SHOWCASE PAGE View, Print and Share all Open Houses! Looking for a Career in Mobile, AL or Baldwin County Real Estate? Featuring our “Ask The Experts” videos, Free APP download, Video of the Week, and much more! more TECHNOLOGY THIS IS WHERE THE BUYERS ARE. INTERACTIVE flipbooks Our new marketing brochures are featured online: Company Brochure, Relocation Guide & Career Development Guide. YOUR QUESTIONS answered Visit our “Ask the Real Estate Experts” page to view our videos. RobertsBrothers.com/New-Listings • Over 12,000 page views every month! • Exclusively features only Roberts Brothers’ New Listings! • Updated Daily, New Listings are featured for 2 weeks, and then available on RobertsBrothers.com until sold. = more SALES Roberts Brothers Listed & Sold more Mobile Bay Real Estate than any other Company! TOTAL VOLUME SALES Mobile & Baldwin Co. This representation is based on data supplied by the Mobile Area Association of Realtors or its Multiple Listing Service. Neither the Association nor its MLS guarentees is in anyway responsible for accuracy. Data maintained by the Association or its MLS may not reflect all real estate activity in the market. “I have had the privilege of working with our Roberts Brothers agent on several real estate transactions and I can without a doubt say that she is a true professional. She understands the business and is passionate about doing a good job. I would highly recommend her to anyone who is interested in buying or selling their home.” - Joe Bullard President, Joe Bullard Automotive “After looking unsuccessfully for several months for the specific home I wanted, I met and employed a Roberts Brothers agent. Within a few weeks, our REALTOR found exactly what we wanted. She was knowledgeable, efficient and professional. I highly recommend her and Roberts Brothers to everyone.” - George Montgomery President, Gulf Fastener Corp. Please visit the Relocation page on RobertsBrothers.com to view our 30-page digital Relocation brochure. Southeastern U.S. We are very proud to be a part of Mobile’s success! The City of Mobile has a 300 year history under the flags of Spain, France, Great Britain, the flag of the the Republic of Alabama, the 3rd National Flag of the Confederate States of America, and the flag of the United States. This rich history provides citizens and tourists alike a year full of activities and attractions. Clear, Spanish Fort and Fairhope. All of these destinations are only minutes apart on the Eastern Shore, and each community has its own charm and wonderful amenities. From city sophistication to country charm, the Eastern Shore has it all. Come discover a sportsman’s paradise of year-round golfing, boating and fishing; warm breezes as you stroll along breathtaking Mobile Bay under a golden sunset, an artists’ haven for both beginners and advanced, festive cultural celebrations, Southern charm, friendly neighbors and magnolias, architectural delights, and fresh Gulf seafood to tempt every palette. The Eastern Shore of Mobile Bay has all of these things and more.